This is Leeds United Football Club’s new logo. Their logo. This is so derisible that I was nervous about commenting on it in case it’s a wind-up. As I make my living from creative communications, I’m trying to figure out why it’s so bad & the subject of such vitriol online. Other than, in my opinion, it looks terrible among the pantheon of great club crests, I suspect it’s because they’re answering the wrong question. 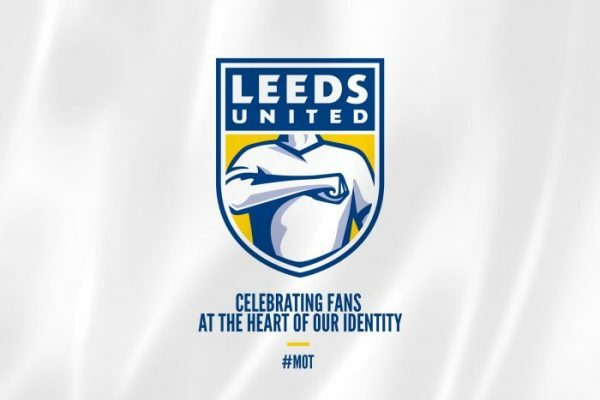 The strap line is an attempt to qualify the redesign: “Celebrating fans at the heart of our identity”. Okaaaay… However, it’s all well & good wanting to put the fans at the heart of the club, it’s just that this isn’t the place for such a noble ambition. While fans often carry ideas & opinions far above their pay grade, they don’t follow football because they’re egotists & need to be put on a pedestal. They follow football because they want to celebrate something transcendent, something beyond their reach – individually or collectively – whether it’s the magic of football played at its best, the mesmerising drama & theatre of competition, or the glory of winning games & trophies. In other words, this badge sets the bar far too low. Fans want something to look up to celebrate, not themselves! How is it that no-one at LUFC realised this?? So while there is at least some attempt at embedding values in this visual identity (most noticeably pride) the problem here is that there is no aspiration to this approach. There’s no expression of vision; of a brighter future to be grasped. And there’s no allusion to the club’s fine pedigree & fantastic history giving it context & gravitas.